Physical activity has long been recognized as fundamental to human health. 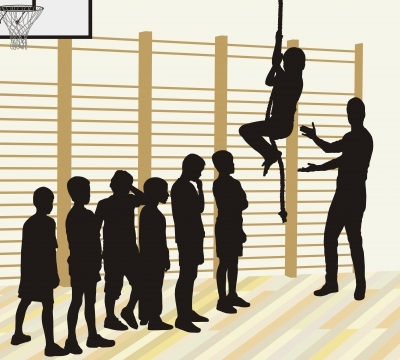 In an effort to encourage children to be physically active, our public and private education systems have attempted to define the components of physical fitness and to implement means of measuring them. In the 1960s, the President’s Council on Physical Fitness set standards for fitness testing, and schools nationwide adopted programs to encourage students to achieve those standards. Yet in spite of well-intended efforts, disease and disorders directly linked to physical inactivity have steadily risen, and are currently at an all time high in both children and adults. Like many endeavors in youth education, the early initiative to encourage physical activity fell short of its goals. In the 1990s, Margaret Whitehead, a pioneer in physical literacy, was among the first to criticize the conundrum of performance standards set in the 1960s. By making standards comparative, they immediately became competitive, particularly when testing was conducted publicly. Students who already possessed the skills, knowledge and physical prowess to perform well scored highly, while students without the necessary skills and knowledge floundered. Once humiliated in front of their peers, these children often shied away from sports and physical activity, carrying their scars into adulthood. Coincidentally, Standards of Learning mandated by politicians shifted the focus of education, edging out the arts, academics and physical education in favor of test performance training. Over the past two decades, Whitehead and others have argued that what our children truly need is physical literacy. The goal of physical literacy is to provide skills and knowledge that promote lifelong healthy lifestyle behaviors. It embraces confidence, motivation, physical competence, knowledge and understanding. 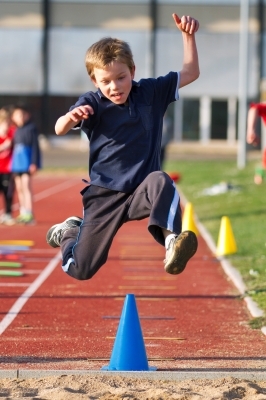 According to PHE Canada, physically literate individuals are able to “make healthy, active choices that are both beneficial to and respectful of their whole self, others, and their environment.” Rather than being focused on athletic competition, physical literacy places emphasis on fitness as a personal responsibility, to oneself and to the world. The evolution away from 20th Century standards and practices to meaningful strategies that prepare children for 21st Century adulthood will require active engagement by parents and adults. As fitness professionals, it is in our interest to become part of the conversation. Not only can we be instrumental in evoking change within our schools, but we can inform and educate the public about the skills necessary for successful healthy living. The children of today will become the fitness clients and practitioners of the future. Our expertise as fitness professionals can and should be an invaluable resource for redefining children’s physical education. Whitehead, M (2007). Physical Literacy: Philosophical Considerations in Relation to Developing a Sense of Self, Universality and Propositional Knowledge. Sports, Ethics and Philosophy, 1(3): 281-298. PHE Canada: What is Physical Literacy?